HyperDB and WordPress Setup For Rackspace Cloud Sites is a Guide for Getting a Scalable MySQL Database for WordPress on Cloud Sites using default DB. Someone was complaining why Rackspace Cloud Sites specific guides are not getting fired. Basically if we publish guides on Rackspace Cloud Sites everyday, it will look bad. This video guide on HyperDB and WordPress Setup For Rackspace Cloud Sites is actually based on Scalable MySQL Database for WordPress with Rackspace Cloud Sites. You will see lot of peoples are complaining Rackspace Cloud Sites can not load WordPress faster. The reason is, they basically can not configure two things – first is this HyperDB and WordPress Setup to give the opportunity to scale, second people will not properly configure WP Super Cache (it needs minor tweaks), third the .htaccess is probably never used to speed up, forth is people saves $1 / month by not using Cloud Files. Fifth point is the flaw we still have – regular repair of MySQL database. WordPress probably was not designed to handle few Millions of page views per day. All points are written as guides on this site. One second – yes, within one second your WordPress can load on Rackspace Cloud Sites, we have shown here before. If you use a crap quality theme, that will make the site load slower. With Elegant Themes it can be 8 seconds, with some themes from ThemeForest, it can take 20 seconds. They sits on WordPress but are not efficient to use default WordPress hooks. HyperDB and WordPress Setup For Rackspace Cloud Sites guide shows a major step. 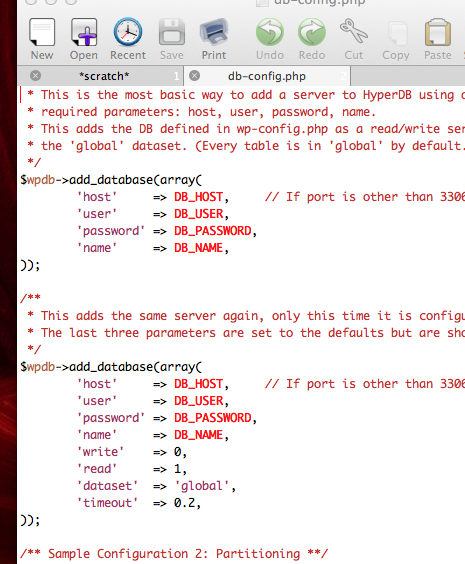 But do not use HyperDB plus Daabase cache plugin together. Create new MySQL database from your Rackspace Cloud account in the way you normally create database. The master will be the same as in wp-config.php. Otherwise how WordPress will run. Put the values correctly. The written comments are really great to help you. After saving this modified db-config.php file, put it in root via any SFTP software. There will be no change in anything. 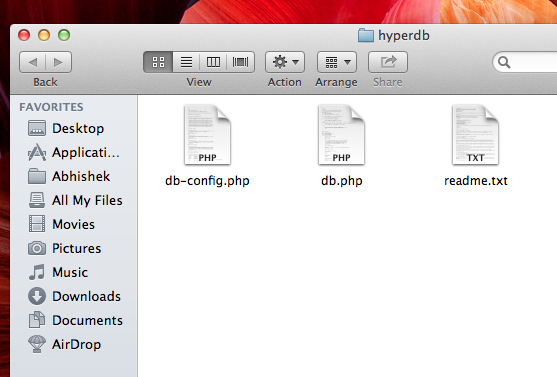 When you will put the db.php inside wp-config.php folder, the magic will start. After 15 minutes, check the page loading speed in webpagetest.org ; it will reflect the speed. This Article Has Been Shared 8578 Times! Cite this article as: Abhishek Ghosh, "HyperDB and WordPress Setup For Rackspace Cloud Sites," in The Customize Windows, January 9, 2013, April 21, 2019, https://thecustomizewindows.com/2013/01/hyperdb-and-wordpress-setup-for-rackspace-cloud-sites/.